He was born in Isparta in 1960. He graduated from Ankara University, Faculty of Political Sciences, Department of Economics and Finance in 1982. He completed his graduate degree at University of Sheffield (the UK) between 1990-1991. He presently continues his PhD studies at Ankara University, Faculty of Political Sciences. He was appointed as Assistant Tax Inspector, Tax Inspector and finally Senior Tax Inspector in the Ministry of Finance respectively in 1982, 1985 and 1992. He held the office as the Head of department in the Turkish Revenue Administration between 1992-1994. He served as the Advisor of the State Minister in charge of Economy in 1994 then he served as the Deputy Director General of Foreign Investment in the Prime Ministry, Undersecretary of Treasury and Acting Director General between 1995-2000. 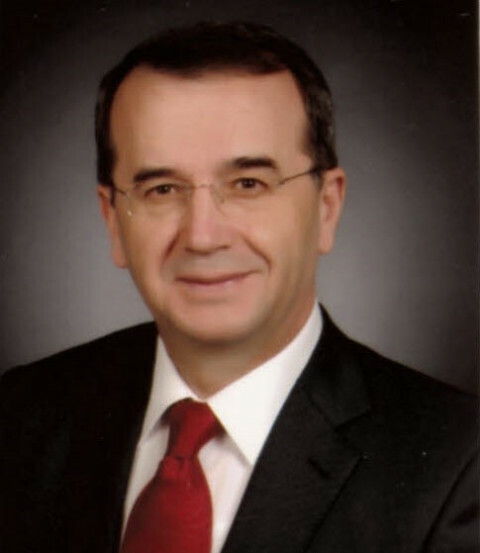 Mr. COŞKUN worked as an academician at Bilkent University, Faculty of Business between 1993-1995. He served as Counselor to the Permanent Representative of Turkey to the OECD in Paris for Economic Affairs between 2000-2003. He worked on economic policies, international investments, financial markets, taxation, etc. Having returned from France, he served as the Counselor of the Undersecretariat of Treasury between 2003-2005. Then, he was appointed as the Deputy Undersecretary of Finance in 2005. He woked as European Union Contact Point of the Ministry of Finance for EU Negotiations. He also worked as Acting Undersecretary of the Ministry of Finance between February and September, 2015. He was Project Manager for establishing International Center of Excellence in Finance, Ministry of Finance in 2017. He was appointed as the Secretary-General of Tax Council of Ministry of Finance at January 2018. On the other hand, he started to work as Vice President of Yaşar Holding at August 16, 2018. He was a member of the management board of Turkish Accredation Agency between 2012-2018 and Pension Reserve Fund of the Council of Europe ( Paris) between 2013-2016. Mr. COŞKUN speaks English fluently. He is married and one child.